We will utilize a blend of SEO methodologies to make them rank higher on web indexes, and to ensure the right individuals are seeing your website. It requires expertise to form your fantasies into a legitimate plan or site that will fill in as a scaffold between your business goals and your intended interest group. It passes on your actual character and moral qualities and contemplations that spin around your whole business wonder. Online networking advancement and methodology offer you some great assistance with content ranking in hunt and direct people to your blog. The idea driving SMO is straight forward: execute changes to advance the website so it is more effectively connected to, all the more exceedingly noticeable in social networking looks on custom web indexes and all the more habitually incorporated into significant posts on blogs. Calmly and deliberately we make a powerful PPC campaign. We investigate the quality of your business and attempt to make promotions that will draw in audience. Mobile friendly clients these days have diverse necessities and they expect additional and one of a kind components in the application they are utilizing on their advanced mobile phone. Anything which is different and out of this world is fit for getting their consideration. Grow In Web outline staggering sites. The sort of sites which are outwardly speaking to the clients and which they can undoubtedly explore. 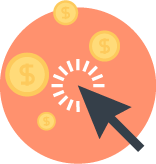 What's more, not just we target clients while making a site additionally we consider SEO at a more noteworthy level so that the site achieves its end users.